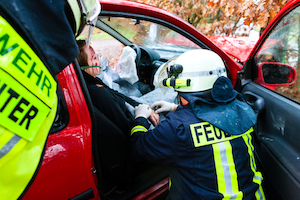 Passenger Injuries | Nashville Car Accident Lawyers The Law Offices of John Day, P.C. Passengers hurt in car, bus, motorcycle and truck accidents may be entitled to compensation under Tennessee law. And, it is important for passengers to have a lawyer who knows how to successfully pursue all available and appropriate sources of recovery. At The Law Offices of John Day, P.C. our team of experienced attorneys have recovered millions of dollars for our clients injured in all types of motor vehicle accidents. (1) An injured passenger may make a claim against the driver of the same vehicle. Under Tennessee law, a passenger in a vehicle is not legally responsible for negligence by the vehicle's driver. For example, if the driver is unexpectedly careless by playing with his or her iPhone while the passenger is sleeping, and the driver's carelessness causes a crash, the passenger may be able to pursue a claim against the driver. (2) A passenger hurt in a car accident may also need to seek recovery from the driver of the other vehicle involved in the accident. (3) The attorneys at the Law Offices of John Day have also handled claims for passengers who were injured in car accidents in construction zones. In a case like that, there may be a claim against the road construction company if the company did not install appropriate flashing lights, orange barrels, or other warning signs. Getting into issues of bad road construction practice can substantially complicate a case, but should be considered depending on the circumstances. (4) In addition, the passenger's own automobile insurance policy may provide some financial protection for a motor vehicle accident. By default, Tennessee auto insurance policies include uninsured motorist / underinsured motorist coverage. Uninsured motorist / underinsured motorist coverage is usually called UM/UIM for short. With UM/UIM coverage, your insurance premium also buys you a back-up source of recovery in case you are in a car wreck with someone who does not have enough insurance of their own to pay for all of your medical expenses, time off work, and other losses. The rules for making uninsured motorist / underinsured motorist claims are complicated, but we have substantial experience in these types of claims. Tennessee law recognizes that more than one person can be at fault for the same accident. For example, one driver may have non-working brake lights, while the driver following behind her is inattentive due to texting. Both drivers might be held accountable if their carelessness causes a crash. If a passenger is injured in the accident, it may be necessary for the passenger to pursue claims against both drivers in order to best make sure that all of the passenger's medical bills, lost earnings, and human losses are recovered. If you, one of your children, or someone else you know has been hurt while riding as a passenger in a vehicle, contact us online or call us anytime at 615-742-4880 or toll-free at 866.812.8787. We will provide a free, no-obligation consultation in which we thoroughly analyze your accident and advise you of your rights. Did Tort Reform Affect Compensatory Damages? Is It Possible For Me To Represent Myself In My Injury Case?